We are constantly told Canada has a "distinctive" multicultural identity in the world. The constitutional recognition of multiculturalism as a "Canadian value" in the Charter of Rights and Freedoms (1982), and the announcement in the Canadian Multiculturalism Act of 1988 that the "preservation and enhancement of multiculturalism" is a vital objective of the government, are regularly invoked as legally enacted expressions of this "distinctively Canadian" identity. It is an identity our current elites have promoted intensively since the 1980s, and which many have embraced as a solution to the much talked about ambivalence Canadians have about their identity in the face of the American nation to the south controlling much of Canada's economy and culture. Don't they know that every Western nation today claims to be a uniquely multicultural nation: England, France, Sweden, United States, Australia, New Zealand, Italy, Spain? Most of the "educated" who condescendingly pretend they are above Trump's "uneducated" supporters don't know. The ones who know are the academics who formulated the theory that Canada is a distinctively multicultural nation that stands as a model to the rest of the world in "reconciling individual and group rights within a multinational, multilingual state." They know the elites of all Western nations have embraced a civic identity based on multicultural values. These are the words of Michael Ignatieff, former leader of the Liberal Party of Canada and Leader of the Official Opposition from 2008 until 2011, and currently "Edward R. Murrow Chair of Press, Politics and Public Policy" at the Harvard Kennedy School. Ignatieff made this argument in his CBC Massey Lectures in 2000 under the title The Rights Revolution. By "rights revolution" he means a movement that "took off in the 1960s in all industrialized countries" in "women's rights, rights of gays and lesbians, aboriginal rights, children's rights, language rights, and constitutional rights" (p. 1). The struggle and recognition of these rights were hardly limited to Canada. 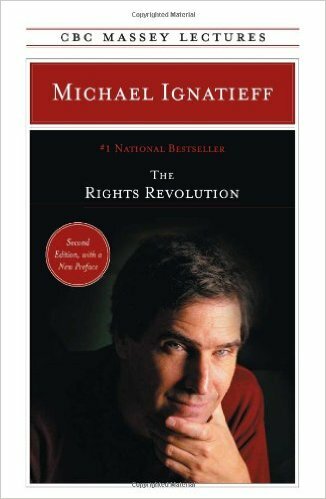 What was particular to Canada, Ignatieff says, was the theoretical articulation and institutional application of ethnic group rights and national rights expressed, for example, in Quebec's language laws (Bill 101), in territorial aboriginal rights, and in multicultural rights for immigrant minorities. 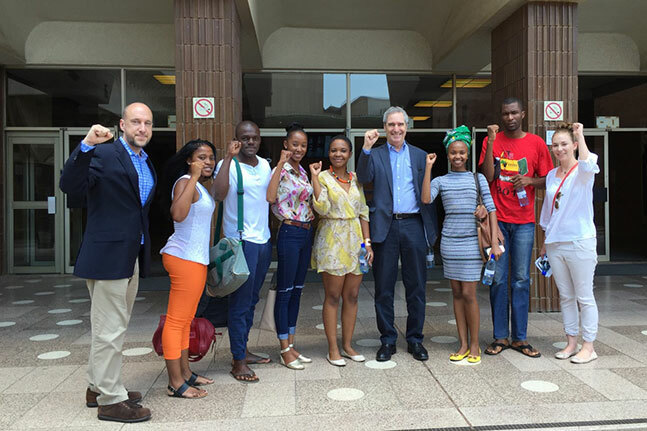 Ignatieff identifies Will Kymlicka, "probably the world's leading authority on group rights for minorities," Charles Taylor, James Tully, Peter Russell, Stéphane Dion and Guy Laforest as the intellectuals behind this Canadian ethnic rights revolution. Emphasis on ethnic collective rights is the most important component of his Massey lectures. While the enactment of the other rights are important to Canada's liberal culture, Ignatieff believes that that "what make us distinctive" as Canadians, as contrasted to other Western citizens, is the incorporation of ethnic group rights into our older individual rights tradition. is what distinguishes us a people, and it has changed our politics...has made our democracy more inclusive by incorporating groups and individuals who were marginalized or excluded (p. 14). 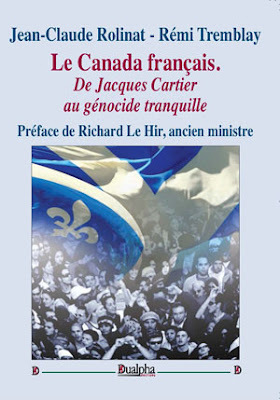 What transpired in Canada since the 1960s, in other words, is what makes us distinctive, not the many centuries that went into the creation of the nation, the Quebecois and Acadians who were born as a new people in the soil of New France and created all the institutions and culture of Acadia and Quebec, without hardly any immigrants arriving until the 1960s; not the Anglo pioneers and settlers who created the rest of Canada's political institutions and culture, along with the settlers and immigrants from the British Isles and from Europe. It is worse than this; Ignatieff is implying that the intellectuals and politicians who institutionalized the rights revolution that "took off in the 1960s" are the ones at the forefront of Canada's identity. And even worse; he believes that Canada will achieve its ultimate identity as millions of non-White immigrants enjoying group rights populate the nation and eventually gain the confidence to claim this nation as their own by rejecting the "myth" that Canada was ever a British-European created nation. This is what Canada's distinctiveness is ultimately about. How is this rights revolution any different from what is also transpiring across the West? Are not all these nations experiencing mass immigration and has not Ignatieff identified them all as civic nations without an ethnic historical identity? In the end, all the talk about "Canada's distinctive national culture" amounts to the claim that Canada took a few initial steps in reconciling group and individual rights to facilitate the destruction of the millennial distinctiveness of each European nation. Obviously he is aware that Canada was not created ex nihilo and that the rights revolution had precedents in the "old political systems" of Canada that guaranteed civic equality to white heterosexual males. But this centuries-old past is not only tarred as racist and sexist; it is said to be based on "myths of common origins" (p. 130) that can no longer be accepted because the new Canada that is distinctively emerging cannot be, and will not be, seen by "new Canadians" as it was seen by Anglo-European generations in the past. As "the Canadian majority in the next century [becomes] unrecognizably different from the majority I grew in" (p. 130), and as "new Canadians make their way to the top," their "demands for inclusion" will entail a demand for a total rewriting of Canada's history against the old "myth" that Canada was created by Anglo and French natives. New Canadians will not accept this "myth" for it is not "common" to a multi-racial Canada. Ignatieff is not explicit about what he has in mind when he talks about Canada's newly emerging "common" identity; lest his softly contrived words may be exposed for their genocidal implications. It is quite clear nevertheless that he envisions the ethnic rights revolution not as a revolution that has come to recognize previously marginalized minorities, but as "new experiment" (p. 141) that is bringing about a totally new identity that will call for the rewriting of Canada's actual history in a way that reflects the sudden transformation of this nation into a multiracial place in which non-Whites are in charge. The distinctive Canadian theory of group rights is not a theory about the past; it is a theory about the future, a future that will be based on the "common" values of multiculturalism and that will entail, is already entailing, the rewriting of the past in order to erase from the memory of Whites any notion that Canada was once their nation. Much as he tries to persuade himself that a "patchwork quilt" of races inhabiting the same nation is something humans want, as everyone mutually cherishes everyone else's culture, he senses that all identities entail in-group feelings that square poorly with a universalism that discourages such feelings for the sake of a multi-racial abstract nation that has never existed in history. This universalism has had to make its way into our hearts against a much more intuitively obvious notion: that the only people we should care about are people like us (p. 40). Bringing this universalism into our hearts, apparently, will involve forcing Canadians to realize that Canada "has no choice" (p. 129) but to open its borders to endless throng of foreigners armed with special groups rights. They have no choice but to open their hearts to the fact that in the next century a majority of Canadians "will not be White". Can't we limit immigration? No; "too little immigration turns rich societies into exclusive and unequal clubs" (p. 37), and that is heartless. Never mind that Ignatieff has always inhabited exclusive neighbourhoods reserved for White-only liberals. It is time for English Canada to say who we are and what our country is. The answer is: we are a partnership of nations, a community of peoples united in common citizenship and rights. We do possess a common history, and like it or not, we had better begin sharing a common truth (p. 134). Do you get it now? The new common truth White Canadians "better begin" to accept is that their nation will be thoroughly populated by non-Whites with special group rights and that one of these group rights will include a radical revision of the curriculum according to which Muslims, Chinese, Pakistanis, Mexicans, Ugandans, Samoans, Tanzanians, Filipinos will be "recognized" (Ignatieff loves the word "recognition") as "truthful" creators of Canadian culture. Canada will not be the only nation "of truth" in becoming multiracial. All White-created nations will eventually accept this "one truth" as well. He happily says that "a majority of Americans will not be white, Christian, or English-speaking" in the next century (p. 129); they will have achieved a multiracial "truth" with group rights. Ignatieff spent most of his life outside Canada, certainly all his adult life from 1969 to 2006, when he came to run for a seat in Canada's Parliament, leaving again when he lost his seat as the leader of the Liberal Party in the 2011 federal election. He is a quintessential representative of what Samuel Huntington identified as the new cosmopolitan elites ruling over the West; academics, corporate heads, media types, professionals, and intellectuals who identify with global or transnational institutions, and are hostile to any feelings of national loyalty. These disloyal, untrustworthy, treacherous characters view European peoples with healthy cultural roots as inherently xenophobic and in need of being systematically re-educated by elites living within exclusive theoretical bubbles out of touch with history and human nature. Fortunately in the 2011 election Canadians could see through Ignatieff's phoney patriotism, handing his Liberal Party the worst electoral showing in its history behind the never-elected socialist NDP. Let us hope that Canadians will soon see how destructive and deceptive the Canadian ethnic rights revolution really is.